Within walking distance to South Miami's many restaurants, bars and shops and only minutes away from Downtown Miami, renting a home or condo in High Pines can be a great option. Because of the high demand for High Pines rentals, many are never advertised or rent as soon as they are listed. If you are interested in renting a home, townhouse or condo in High Pines, let us know what you are looking for so you can be the first to know when one of these rare opportunities becomes available. Clean, Updated 2bed/1bath 2nd Floor Condo. Great Location, Close To All South Miami Amenities. 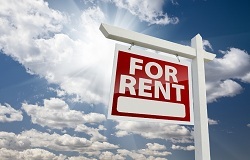 Thinking About Renting in High Pines South Miami? Nobody knows High Pines South Miami real estate better than The Jo-Ann Forster Team, your trusted High Pines Realtor. We have been successfully selling and renting real estate in South Florida for over 30 years and have a proven track record for delivering exceptional service and results for our clients. Give us a call today at 305-468-4558 or use the form below to contact us by email and let us know how we can help you.